I hope it does not come as a shock to any of you, but we are living in some tough economic times. “No way!” you say. “I have money not only running out of my ears, but my dogs, too.” Well, we are all happy for you, but the rest of us are tightening our shell belts and maybe not buying that $40/bag dog food right now (though we still try to avoid buying a bag that lists “ground yellow corn” as the first ingredient – if you are feeding that you may not want to let your dog ride in the truck cab with you). So when we think about asking landowners to conduct quail habitat management, on their own, or even through cost-share programs, we need to understand that even basic management practices cost money. And things like planting variable mixes of native grasses and herbaceous plants can cost about one cheap shotgun per acre ($300). Well, even through federal or state cost-share programs like CRP, WHIP and EQIP, the landowner must foot the bills up front. And, while agency personnel truly try to make payments to the landowner promptly, it may still mean the landowner has to “hold” a bill for several months. This can cause cash flow problems at a minimum, and could keep some Christmas presents from making it under their kid’s tree. 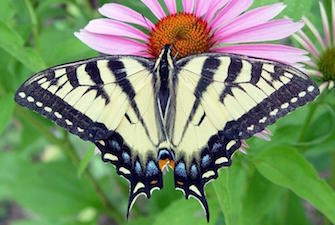 Add to that our current situation with the pending Farm Bill – it is not looking good for conservation programs. What’s does all this add up to? It means that as wildlife professionals and NGO conservation supporters, we need to come up with management techniques that, while may be imperfect, save landowners money due to the sheer potential volume of acres involved and can do great things for quail and dozens of other species. And what does every landowner do – mow, or bush-hog. I’m not talking about legitimate hay cutting. I am referring to what landowners consider “maintenance mowing.” And I want to begin with one caveat. In situations where landowners are willing and able to use other management practices such as rotational disking or prescribed burning, those practices are far superior to mowing. I enjoyed the recent Kentucky blog post that hit this issue hard. This blog post is to add to that some ideas on how small changes in mowing practices can add up to huge benefits for quail. Why do most landowners mow? 1) aesthetics, 2) to prevent “bad” weeds from setting seeds, 3) to keep open land “open” – basically free of trees, 4) recreation and perhaps a few more. And unfortunately, most of the mowing occurs in fall. Next to mowing during the nesting season (April 15 to August 15) – a big no-no — fall mowing is thenext worst. 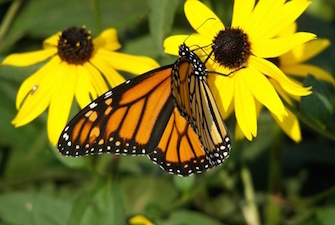 How can landowners change their mowing habits to benefit wildlife? First – they need to recognize that fall mowing (generally September and October in the Southeast) insures that no cover at all will remain on those fields over winter – a time when animals need the escape cover the most (not to mention the weed seeds for food). Fall mowing also encourages sod-forming cool season grasses like fescue. By removing the overhead competition, fall mowing gives fescue access to the sun and helps insure it gets thicker every year it is mowed – further reducing the field’s value for wildlife. Now you deer hunters don’t start writing me nasty letters – I know that some fall mowing can be necessary to help clover and cool season food plots flourish. Landowners will also use the argument about how fall mowing prevents some bad weeds from setting seed, thus preventing or minimizing their spread. In fact, let’s address this before moving on. With modern, Roundup™ (glyphosate) Ready™ (herbicide tolerant) crops – concerns over weeds in crop fields has greatly diminished. In fact, these products have been so effective, farmers are being required to leave “weed refuges” on their farms to reduce the rate with which weeds develop tolerance to glyphosate. By allowing weeds to grow in adjacent, non-crop fields, where glyphosate is not sprayed annually, or at all, a landowner can minimize the chances of weeds developing glyphosate tolerance. This means that they can use glyphosate tolerant crops for longer periods and perhaps at a lower cost. The argument that fall mowing provides good weed control no longer has any merit (and really never did). Mow in late winter to early-spring (generally mid March through early April in the Southeast) instead of the fall. This insures good winter escape cover remains available when needed most. 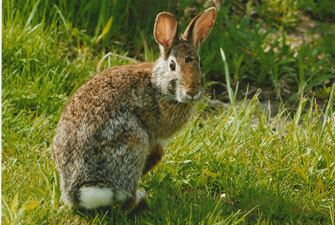 And, mowed areas will quickly sprout new growth providing cover for spring and summer nesting and feeding. There is a “sacrifice” for those folks who love that “golf course” look. The land will not remain “clean cut” for long. I beg of you, isn’t this a small price to pay for quail? For rabbits? For songbirds? Mowing during this period will also control tree encroachment just as well as fall mowing, maybe better. To control encroaching hardwood trees over the long haul (things like sweet gum, red maple, and poplar in Virginia) some spot treatment with herbicides will eventually be needed. Well, here is the next mowing Best Management Practice – don’t mow the whole field every year. Regardless of whether you buy my arguments for changing the timing of your mowing, you do not need to mow all of every field each year to keep them open. In humid climates with good soils, mowing half each year will suffice. Mow half this year, the other half next year, and so on. In drier, cooler climates, mowing 1/3 every year will accomplish your goals. In some areas, even longer rotations will work – perhaps mowing half of each field every 2 to 3 years will prevent the fields being taken over by trees. And that is where your savings is – less mowing, less fuel, less equipment maintenance, fewer tire replacements – all these can add up to hundreds, if not thousands of dollars in savings through time. And last time I checked, the weather in March is just as nice as the weather in October – so your recreational mowing “fix” can be obtained. At a bare minimum, stop mowing all of every field each year, mow half, or 1/3 in rotation. Regardless of when you mow, set your mower up a bit higher to leave at least a little bit of cover even on mowed areas. Instead of mowing in fall, mow in late winter to early spring (mid March to early April). Learn to identify “good brush” and leave it even within mowed sections of fields. While you need to control sweet gum, red maple and other tall growing hardwoods and pines, things like plum, sumac, hawthorn, blackberry, and others can be allowed to grow for many years. 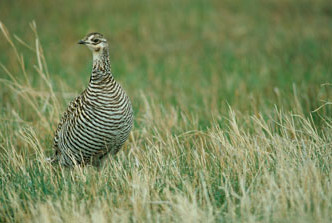 Quail need 15% to 25% of their range in thicket cover to thrive. I went bird hunting last week – our grouse and woodcock seasons are open. This is my first season without old Shell. I did not realize how good she was until now. Not that she was stylish, she was not, but we had our own system worked out well. We understood each other and we both hunted with hope, optimism and intensity regardless of the number of birds. My current dog “Smudge” is 7 years old and I got her about 3 months after my daughter was born. 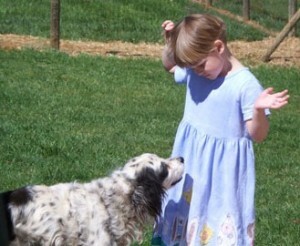 Simply put – I rightfully concentrated on raising my daughter and not on training my dog. Enough said. Somehow a bad trend of gun shyness worked it ways into Smudge. I can’t recall exactly where it started; no single incident comes to mind. Last week after 2 shots at woodcock she was done. I tried hunting on my own based on instinct and knowledge of the covers I was in – but after 30 minutes I asked myself – “what am I doing?” “This is no fun.” Without that counterpart, without a dog to share the intensity with – it just wasn’t bird hunting. I have always loved hunting and fishing with people (and dogs) that were passionate about it. I can have a great time fishing for carp with the right person if they are really into it. I think perhaps the biggest thing we can all do to perpetuate the sport of quail hunting (or hunting in general) is share our passion for what we love. The same is true for habitat creation – mentor, mentor, mentor and mentor some more. What can you do? As a landowner, offer to host workshops or to speak at local community clubs about how all the “weeds and brush” came to be on your farm, and how you have benefitted from managing the habitat. It means more to a landowner coming FROM a landowner. 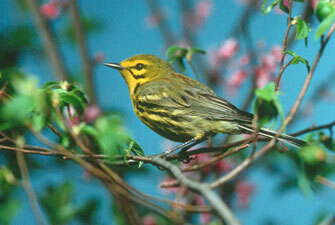 Write an article in your local newspaper about your love for habitat management. Invite other landowners to come to your place 2 or 3 at a time to see how you manage. 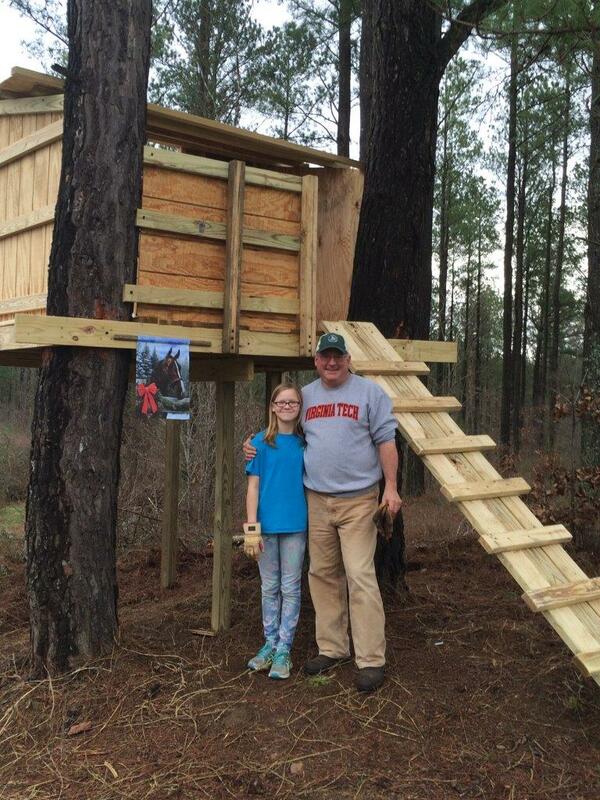 As a hunter – perhaps the biggest thing you can do is reach out to young people who might not have a parent who hunts. 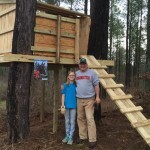 Consider developing a local hunting mentor program. Volunteer as a hunter education instructor and emphasize your passion for upland bird hunting during those courses. And maybe most importantly – be less selfish. It does take energy and commitment to mentor new hunters or habitat managers, but it is a chance to leave a legacy. Lastly – Friday is Veteran’s Day. Please take the time to thank and recognize our military veteran’s without whom we’d not have many of the freedoms to pursue our passions so fully. Not to mention many of them may be seeking a place to hunt, or to do some outdoor work – reach out to them if you can. We live in a world where many of us are used to relying on others to do things for us. This BLOG is not meant to be any kind of a political statement. I’m a moderate and I won’t go into my beliefs. Who’d care anyway? But we all tend to sit back and say, “Let the state or the federal government take care of it.” Well when it comes to quail recovery, when one refers to the “state agency” what that often boils down to is one or two beleaguered quail coordinators, a few other agency staff, a few partner agencies and a team of a dozen or two volunteers, trying to do it all. Well here is a news flash for you, if quail go extinct, YOU are to blame, not the state. Get up and do something today! “What can I do to help?” you ask. Sounds like my daughter saying to me “Daddy, I’m bored, there is nothing to do.” To which I reply, “boring people are bored, use your brain, look around you, don’t expect the world to do it all for you.” So you won’t think I am a terrible Dad, I usually also offer a few ideas and try to show her how, if we use a little initiative, we can always find some fun things to do. So to the point – here is a short list for you to jump start your desire and get you past a lack of gumption – that is what it all boils down to. How bad do you want it? Learn about the problem and spread the word to every neighbor and friend you have. If you are in Virginia, go to our website www.dgif.virginia.gov/quail , if not find your agency’s site. Read, learn, share! Tell everyone you know about the NBCI website. Show up!!! By that I mean all state agencies have periodic meetings of their Boards that are open to the public. These generally have a time period dedicated for public comment. Let them know quail are important. Those who show up win. If you have land, find out how to manage it and talk to your neighbors. See if they are interested. Quail management benefits do not accrue equally with each additional acre managed. There is a threshold that, when reached, efforts really begin to pay off in an exponential fashion. 100 acres – OK – quail maybe? 500 acres – now you are getting up some speed, 1000 acres – Yes!!!! 2000 acres –Wow!!! You have guaranteed yourself a long term quail population. 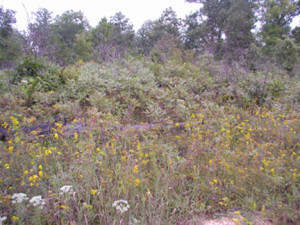 In Virginia we call this a “quail quilt” – landowners “sow” together smaller pieces of land into a useful quail quilt. Join our QMAP program for more details (www.dgif.virginia.gov/quail/qmap/asp). If you are a seasoned quail hunter, consider hosting or organizing a “how to become a bird hunter” workshop. Check with your state quail biologist – they’ll be willing to help. Join a conservation NGO (non-governmental organization). Many exist – the most notable for quail are (in alphabetical order): the National Wild Turkey Federation’s Upland Wing, Quail Forever, Quail Unlimited, and the Quail and Upland Wildlife Foundation (websites on the NBCI website). Each has their own unique features, visit their websites, make a decision and join one, or two – no one says you can’t join them all. Take a kid SMALL GAME hunting. It is not all about deer. Young people need variety and excitement, they desire action. Whether it s squirrels, rabbits, dove, quail or woodcock – get them out there and active. …or, go get that puppy and become a bird hunter now! The old saying, “Timing is everything,” is one of those that seems wise because it can be used in just about every situation – good or bad. In short how would you argue against it? I try not to think about “what ifs”, and “if only I had ofs.” Lordy be, it is more a waste of time than waxing your truck before entering a mud bog rally. If you spend a lot time thinking about time, I’d say you have too much time on your hands. I’d rather think of timing as in “there is no time like the present.” They say if you wait for the proper timing to have a kid, or buy a house, you’ll always be homeless and alone. I lost my best old friend and bird dog a few months ago. She never worried about the past or time. Now I am pondering when to buy a puppy. Notice I said when, not if. It is another timing question – and I don’t want to over think it. I bought my last puppy about 7 years ago – 3 months before my daughter was born. Now what was I thinking? Truth is I wasn’t. For many of us in Virginia it’s hard to believe that as of July 1, 2011 we began the third year of implementing our latest Quail Recovery Initiative. We have two eventful years and many accomplishments behind us. Our newest quail team is pictured below. Left to right (standing): Bob Glennon, Jay Howell, David Bryan, Andy Rosenberger, Marc Puckett, (kneeling) – Katie Martin, Debbie Wright, Galon Hall. The federal Natural Resources Conservation Service, both in enabling the initiative to hire and support five private lands wildlife biologists, and in continuing to offer financial incentives through the Wildlife Habitat Incentives Program (WHIP), is a “diamond” partner. So is the Conservation Management Institute at Virginia Tech, without which the private lands biologists positions would not exist (or our VQC and QMAP list serves). Add to this list the six Virginia Association of Soil and Water Conservation Districts (SWCDs) through which we offer the Wildlife BMP program (Big Walker, Chowan Basin, Culpeper, Halifax, Headwaters, and Three Rivers) and their supporting agency, the Department of Conservation and Recreation. These partners form the backbone of the quail initiative. And so many others contribute significantly to what has become the body of the Virginia quail initiative. 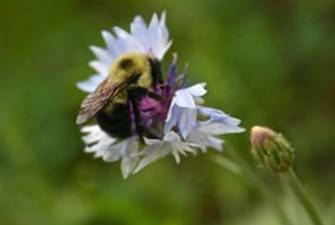 These include: The US Forest Service, Dominion – Virginia Power, the Wildlife Foundation of Virginia, Virginia Dept. of Forestry, the Farm Services Agency, Appalachian Mountains Woodcock Initiative, Quail Unlimited, Quail Forever, the Ruffed Grouse Society, the Department. of Mines, Minerals and Energy, Virginia Cooperative Extension, Virginia Tech College of Natural Resources and the Environment, The National Wild Turkey Federation, the Virginia Chapter of The Wildlife Society, American Electric Power, River Birch Farm, Reese Farms, Virginia Trappers Association, US Army Corps of Engineers, the National Audubon Society, Ward Burton Wildlife Foundation, and the Virginia Dept. of Game and Inland Fisheries. 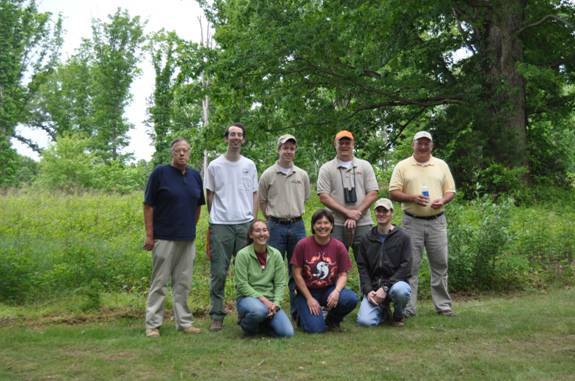 Of the team pictured above, five are our private lands wildlife biologists (David Bryan, Bob Glennon, Katie Martin, Andy Rosenberger and Debbie Wright). They are the true force behind our QRI – the “unsung heroes” without whom implementing the quail initiative would be ineffective. Never ready to go home. Rest in peace my best old friend. My dear and best old friend, Shell, for whom this blog is named, crossed that last river on Thursday, June 2, 17 years and 3 days after she entered this world. She was a daily part of my life for all but the first 10 weeks of that time period. That represents 35 percent of my life. Very few things in a person’s life are around, nearly daily, for that long. It becomes easy to take such things for granted. I urge you to stop whatever you are doing today and call an old friend, give your wife or kid a big hug…or spend some time petting your old dog’s head. When you lose someone, along with the good memories, you’ll also remember a list of things you did not do for them that you should have done. Endeavor to make that list short. Shell was not a perfect bird dog, thus was a perfect fit for her far less than perfect owner. I’ve never been a perfectionist. In my opinion, life is too short for it, but I suppose those who are perfectionists would argue that life is too short not to strive for perfection. Thus the ying and yang of life. Maybe it is quite a leap to relate this back to quail management, but at least I got your attention. It made me think of the undignified deaths of so many plants deemed “weeds” by the masses of “lawn-like landscape” lovers out there. So many “weeds” die an undeserved death by bush-hog or broad-spectrum herbicide at the hands of landowners bent on wasting $4.00 dollar a gallon diesel fuel in fighting an ill-conceived war with Mother Nature. 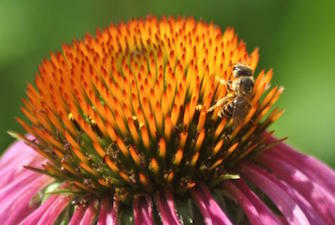 As wildlife professionals, we have been ineffective in educating the public as to the value of “weeds” and “brush.” Think about this, “A weed by any other name may be a Rose.” A poor twist on Shakespeare, no doubt, but the point is – many of the things people call weeds, are in fact valuable wildflowers, grasses and shrubs. They do not deserve to die “undignified” deaths at the hands of uneducated, mis-informed – though perhaps even well meaning landowners. I find that the “food plot” mentality still prevails in some cases, more than two decades into what I call the “modern era” of quail management. We have simply failed in spreading the word about proper habitat management for promoting early-succession species like bobwhites. One of the biggest challenges in working with landowners is to first help them recognize the good habitats they already have. Indeed, there are times when setting things back to “ground zero” may be necessary, and soil disturbance in the form of disking, or prescribed fire is a big part of quail management. But it must be done with some degree of discretion and knowledge of proper application. Then learn how to properly apply prescribed fire, rotational disking and, yes, in some cases, selective herbicides to promote healthy, early-succession plant communities. They are indeed a highly valuable component of the landscape. But until these transitional plant communities are recognized by the masses as being valuable, they are destined to continue to undeservedly disappear from our lives. I am “preaching to the choir.” It is your responsibility to go out and preach to those who may not even recognize the hymn book. And while you are out there, maybe also take the time to thank a military veteran, or an active duty Air Force, Army, Coast Guard, Marine, National Guard or Navy person for their service. As Americans we are routinely criticized for using more than our share of the world’s resources, but we are rarely praised for shouldering more than our share of the world’s burdens. A nation can never be perfect, as all nations are composed of imperfect individuals. Differences exist between countries, states, friends, families and neighbors, yet occasionally something reminds us we have more in common, than not. I remember where I was on 9/11. Always will. And I will remember that, in spite of the sadness of that event, it galvanized our nation like no other occurrence in my lifetime. I believe a death is nothing to celebrate, so today I would say I am celebrating life – the life of a grand idea expressed by our founding Fathers nearly 235 years ago. Their belief in the inalienable rights of all humans on planet earth. And though we have not always lived up to the idea as we should have, America remains the “light on the hill,” the beacon for freedom that our forefather’s envisioned. We are well into our second year of implementing the Virginia Quail Recovery Initiative and we’ve had some success, especially in terms of measuring “inputs.” We can say our biologists and partners have made close to 600 site visits and placed several thousand acres of new habitat on the ground. They have visited with landowners who control over 75,000 acres of land. But you have to be careful measuring — and touting — “inputs.” It’s much harder to measure “outputs,” otherwise known as “results.” Claiming success based on measuring inputs is akin to a bird dog trainer measuring their success based on numbers of dogs “trained.” “Hey Mr. Smith, I heard you’ve trained 376 bird dogs … is that true?” “Well, yes, it is young man, now mind ya, none of them will hold a point, retrieve, or ‘whoa’ very well, but I’ve run that many through here.” Our ultimate goal, of course, is to measure an increase in quail populations in an area as large as a county, or perhaps a region, of our state. Along with that, we’d love to see more folks out in the field chasing a bird dog and finding more quail. Ultimately, we would like to reverse the downward spiral in the number of bird hunters. This summer and fall will be our first opportunity to start measuring “outputs,” and we are optimistic, so stay tuned. Welcome to the recently-created website of the National Bobwhite Conservation Initiative. What you see here is the result of NBCI’s creation of a blogging platform to give a voice to state quail/small game coordinators’ efforts with quail management in their respective states. And I’m proud to be a part of the NBCI efforts. This is my first “blog,” so bear with me. It is named after my first bird dog, Shell, who will be 17 on May 30th – Lord willing. For more about us, click HERE to read my article “Listening Closely to an Old Bird Dog,” printed with permission of Virginia Wildlife Magazine. I am 48 years old and my first bird dog is almost 17…wait a minute…that means I started bird hunting in 1993. That was the year before I bought Shell as a penniless grad student. Seriously, we shared food from time to time…LOL.